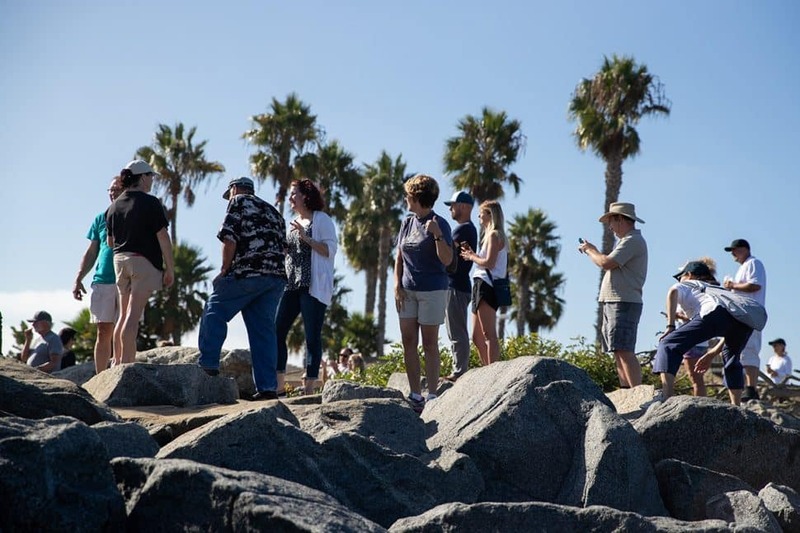 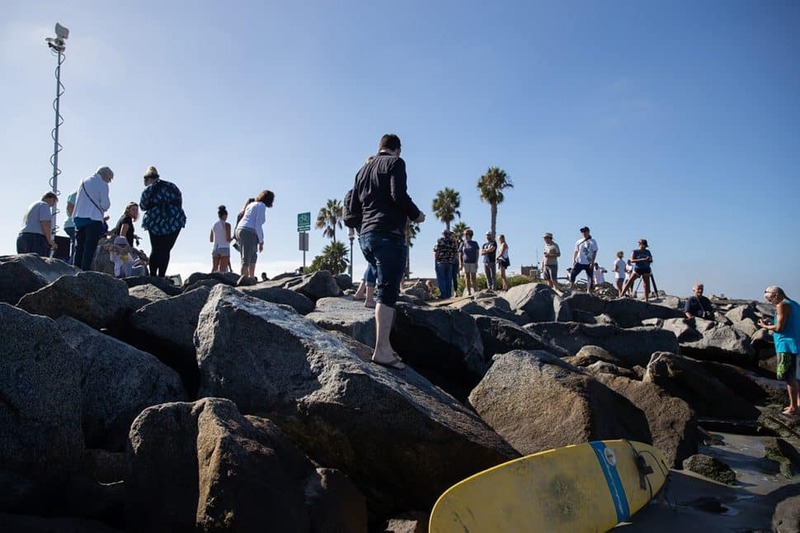 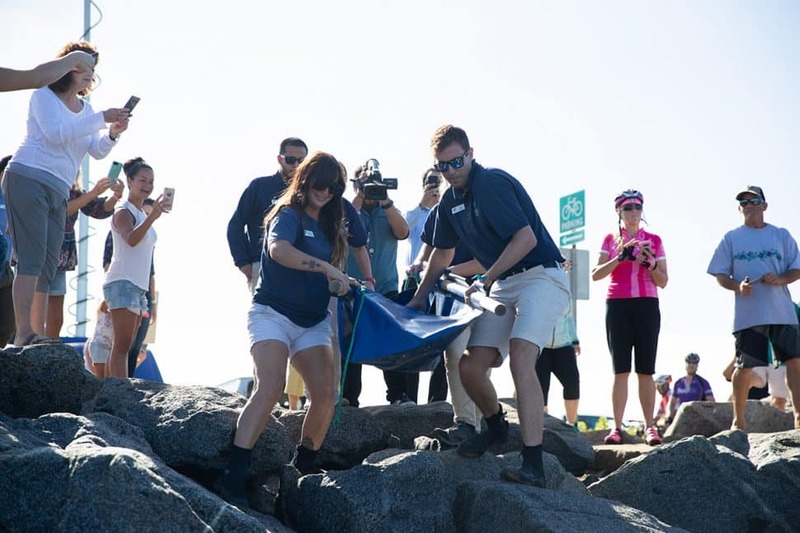 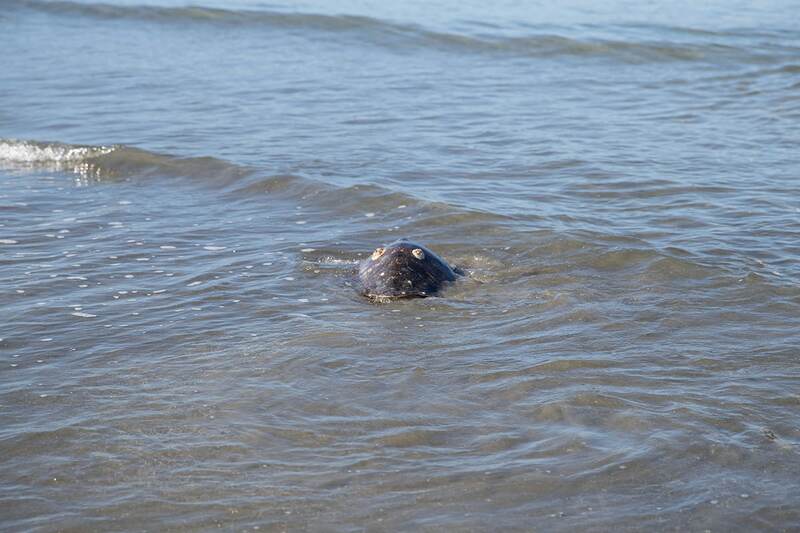 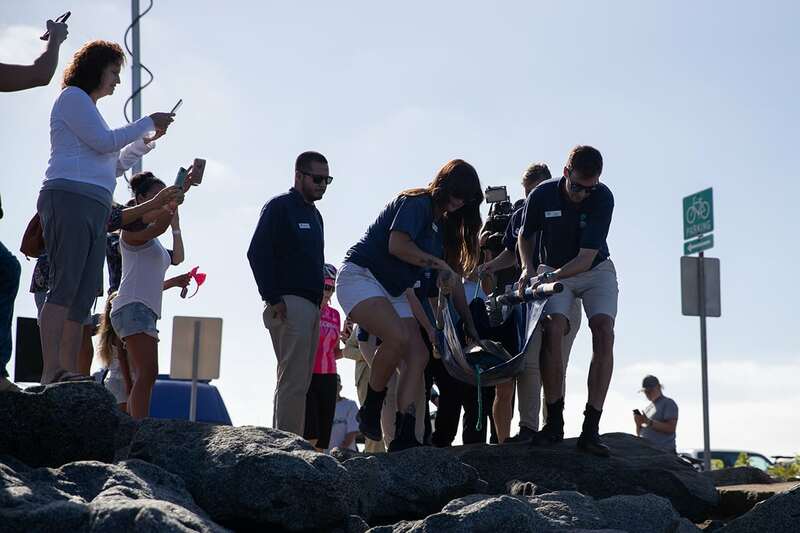 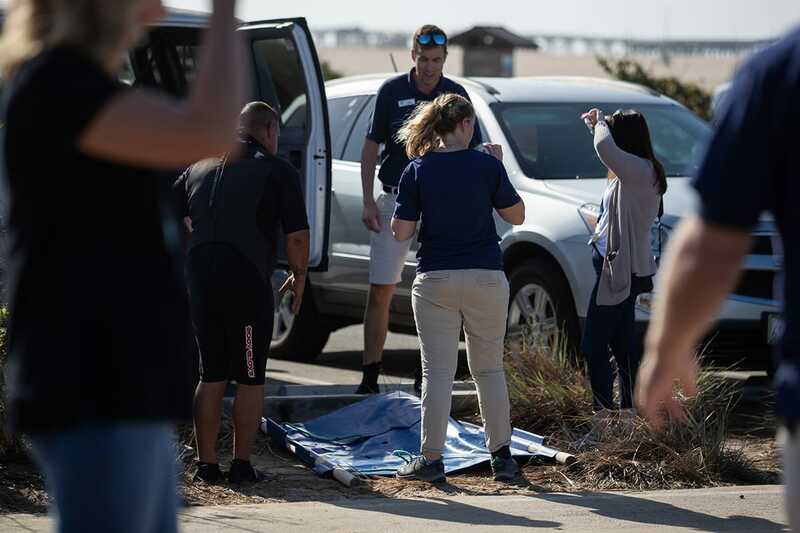 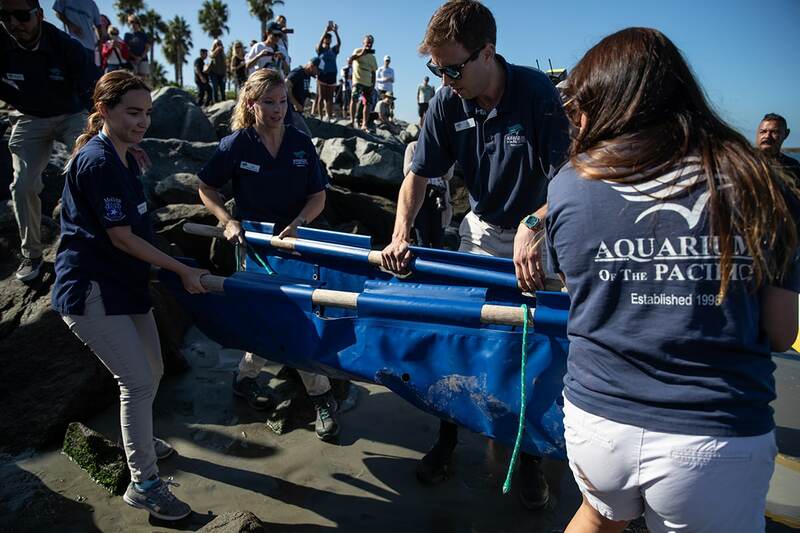 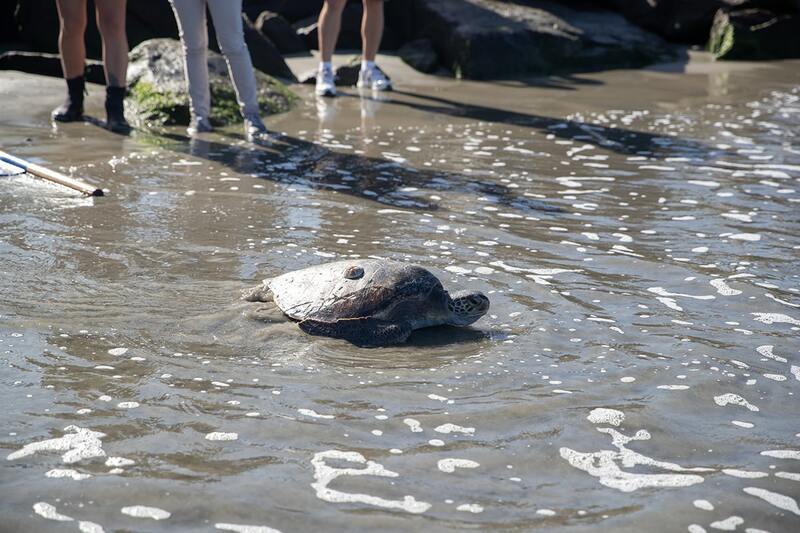 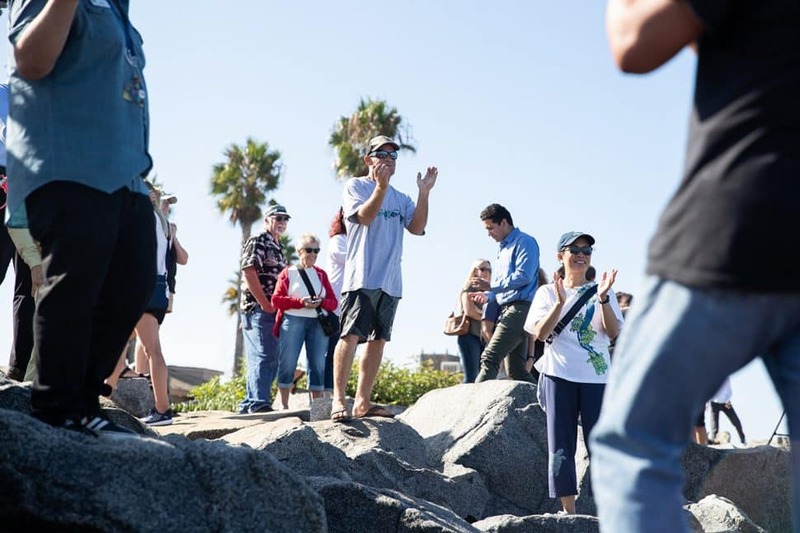 Aquarium of the Pacific employees released Jelly the sea turtle back into the ocean at Seal Beach on Tuesday. 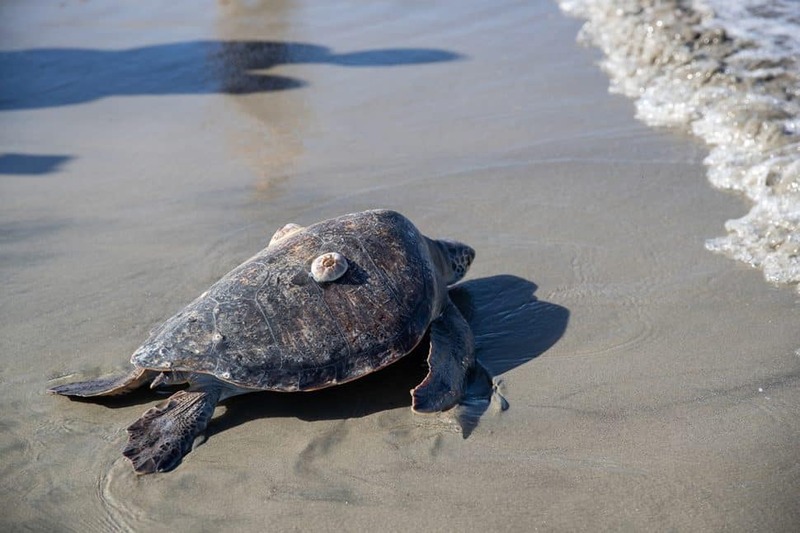 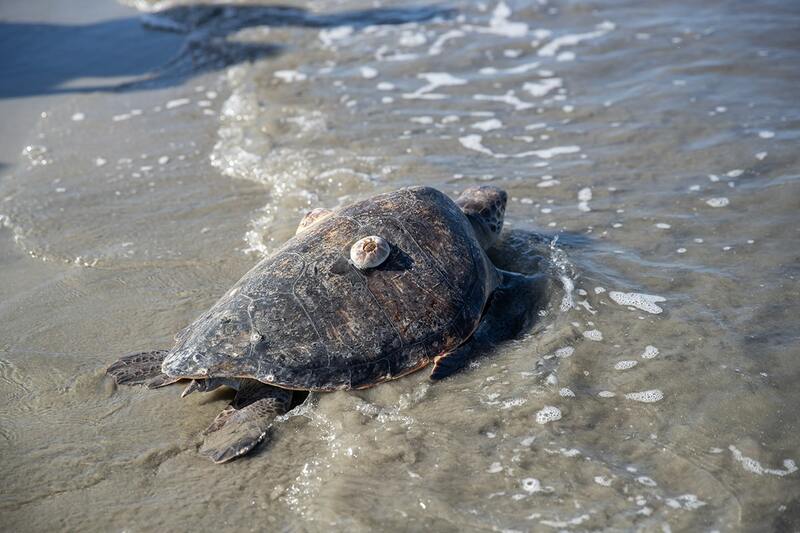 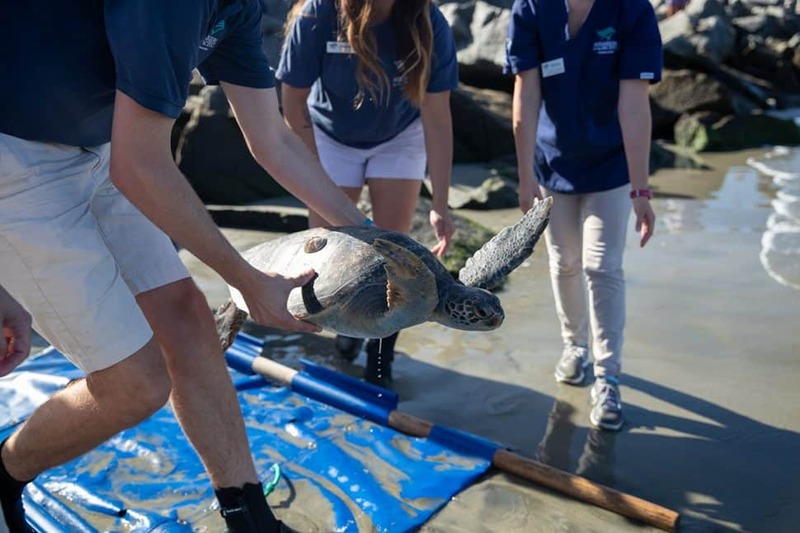 The aquarium veterinary and animal husbandry staff released the rehabilitated green sea turtle. 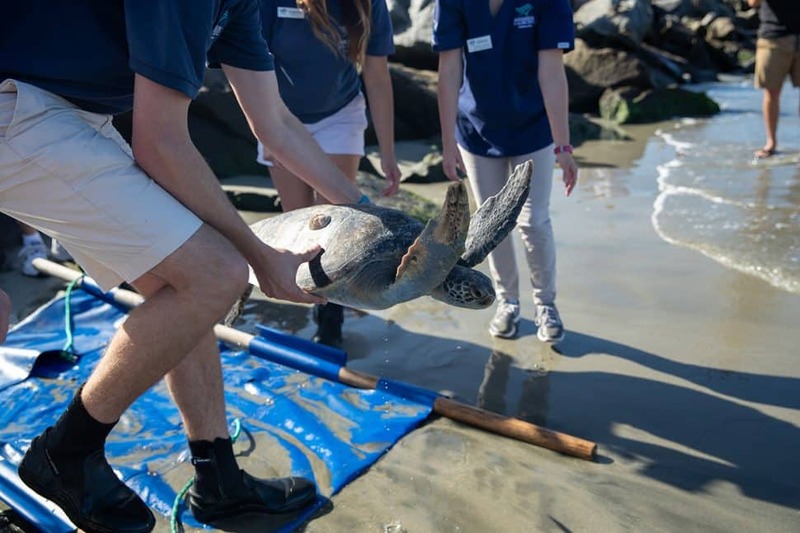 Jelly is a 21-inch-long juvenile that was rescued by the California Department of Fish and Wildlife with an injury caused by a fishing hook in Morro Bay. 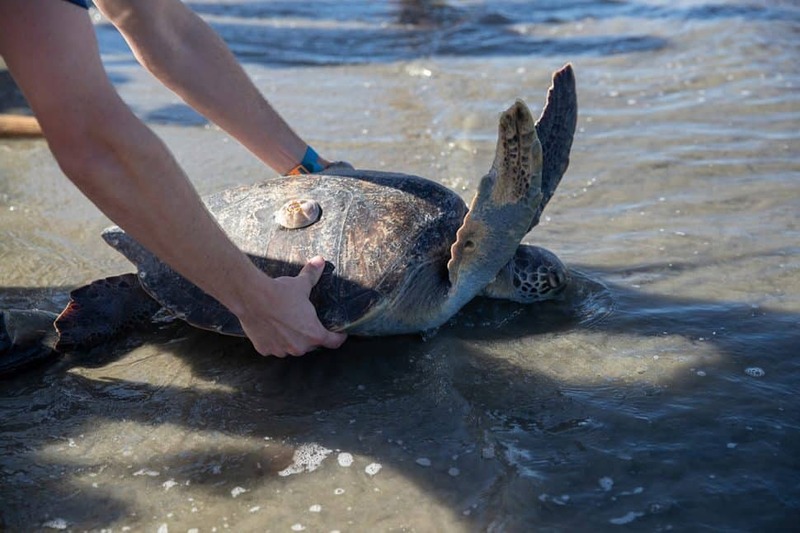 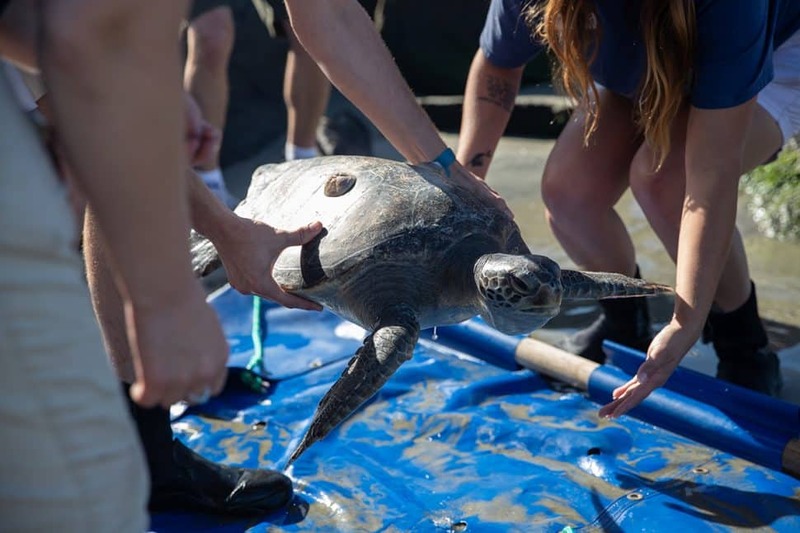 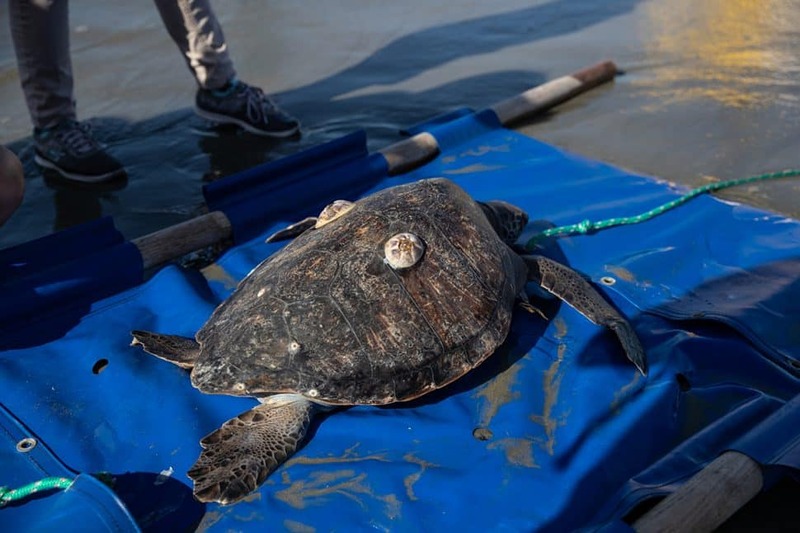 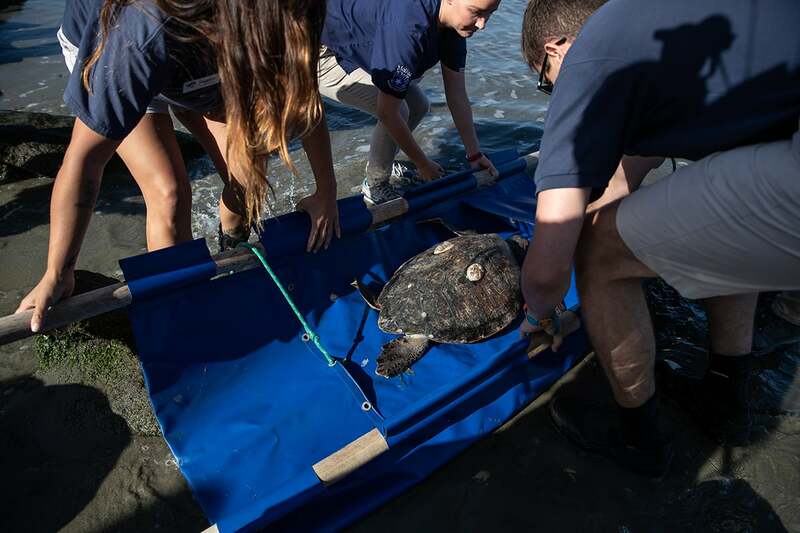 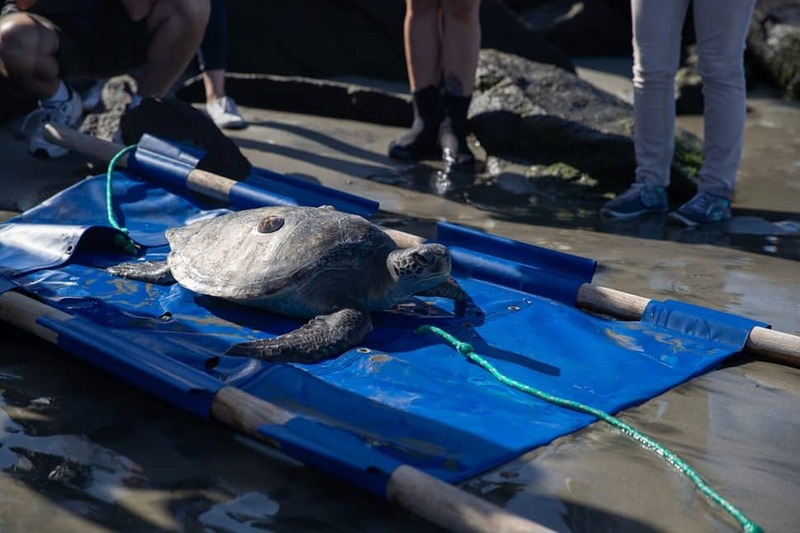 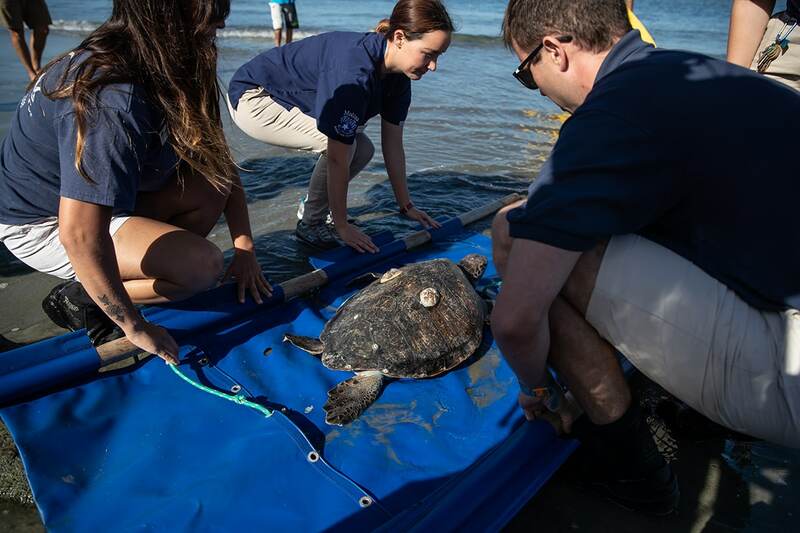 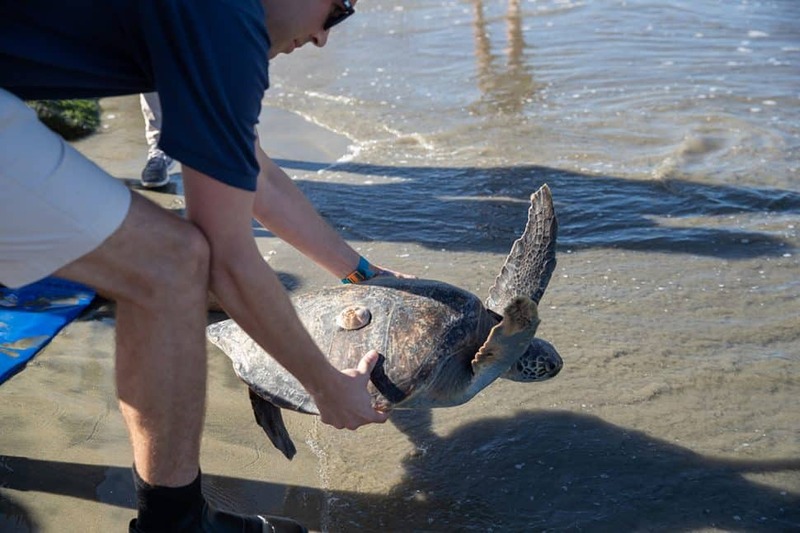 CDFW first took the sea turtle to The Marine Mammal Center in Sausalito for treatment, but it was soon transferred to the Aquarium of the Pacific because of the facility’s expertise in treating and releasing sea turtles with this type of injury.